The first two are more about preferences and apart from targeting a similar audience; you can hardly do more there. For the third kind of customer, however you can think of ways to make it worthwhile for them to share their email id’s and be an engaged customer. It could be a discount promo, or a special sneak-peek into your upcoming sale. You could give them an email-only offer. The possibilities for products are endless. Even if you have a small bakery, you could give them a coupon for lunch hour and get them to come to your store. Or if you are an author, you could ask them to subscribe and get a kindle version for a discount. Do not spam the subscriber. When you are asking for email id, make sure you inform and stick to the promise of not spamming a subscriber. There is nothing more disheartening, than seeing a mailbox full of promotional emails. You don’t want them un-subscribing at the first instance, or worse marking you as spam! When you send a welcome email, let them know of what they can expect – weekly round-up, some learning’s, coupons etc. This will help them know what to expect. Can they expect more of it? If you say register and get a discount of 10%, you will get email registrations. But if there is no future plan about nurturing those leads then they will either unsubscribe or forget about you. Once a person subscribes and you have welcomed them on board, make sure you let them know about your various offerings, why they should continue opening your future emails and how they can expect some wonderful things in future. So, if you are a bakery and you have given them a 10% discount for signing up. Next send them a special coupon on their birthday or anniversary. You can even give them an e-book or some resources to make mug cakes less than 5 min! This will help build your brand and trust. If you have a blog, offer them a round-up to know what’s new on your blog. When you send a newsletter or email campaign, make it about them and not about you. They want to hear from you, but it makes it personal when you tell them how this mail will help them. Make them feel special by offering some bonus or free tips and tricks from time to time. Considering our previous example, you could add a monthly tip on bakes or cleaning tips to help your subscribers. Follow best practices and ask for permissions. Having a double opt in helps you get genuine subscribers, who are actually interested in reading your posts. Remember most emails are opened on phone. Optimize your email for the mobile. Keep your eyes open for the competition. Understand what your competition is doing right. Know what kind of content is sought by your audience. Add a bit of curated content. If you have some kind of collaboration with allied field members, it will be a great booster. Unsubscribing should be easy. Don’t try and act clever by not offering or hiding your unsubscribe button. The only way to be transparent is by offering a two-way street. It’s never too late to start an email marketing campaign. Start with a plan and refine it as you see results. Email marketing is a client list that is genuinely interested in you. Make the most of this option by first creating a solid plan, offering some incentive and making it worth for your clients and then sticking to the plan. Do offer them regular insights that are helpful and useful. Use it for what it is – communicating on a personal level while offering helpful resources. Have you tried email marketing as a business? How has your experience been? Do you have some more tips to add or maybe you have some questions? I would love to hear about it! Do share in comments below. These are some wonderful tips Neha. Will think about things like this after the a to z challenge. I am one of those who never got around to it as I just dont think I have anything to sell/offer yet. 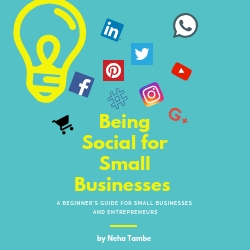 I am verbalising my thoughts on the blog and cant really think of peeps who would be genuinely interested in getting my posts via mails or even new s about them. What advise would you give me? Should I do a newsletter/email list? What would work for me Neha? I would suggest go with a newsletter. It could be a fortnightly or a monthly thing, highlighting best topics from the various segments that you cover. Very useful information. It’s worth to follow. I am just starting out here. Email marketing is so new to me. I tried gaining sign ups but i think that would take time. I have sent out like three newsletters but the click or open rate is very low. Till now it was mostly a round up of blog posts and social media follow links. But i am short on ideas for freebies to include in my newsletter. I have not started sending newsletters as yet but I want to start soon. Good tips but my question is what services to use to create one or how to send it? This was an interesting read. I used to send newsletters once in a while earlier but haven’t been abe to recently. Also, from the ones I sent, I observed that the open ratio was dismal. So decided it wasn’t useful for me. That’s a great post, Neha! A newsletter, that is something to consider! Lemme think some more ! Thanks for this. Email marketing is one imp channel of digital marketing. I have also tried diff campaigns for my client. Starting from upsell, cross sell, hide deals we did so many campaigns and it really works. You have shared the best tips. This is really an informational post- Neha. We normally received a lot of such emails and I was curious to know more about it. Email marketing can be a big help depending on what you send.I rather enjoyed this guide . Quite informative, though email marketing has seen quite a lot of changes, if used strategically and targeted well it can furnish you with desired results. This is such a useful article Neha. Thanks for sharing the tips. I think I need to start sending newsletters to my blog subscribers. email marketing is definitely a important deal on digital marketing industry. I like the idea behind newsletter. will try it for my blog. Oh girl these are some great email marketing campaign tips for better engagement. I will certainly try them out. Wow! I got to learn so much today! There are so many tactics of doing it correctly and I thought just sending mails is enough! 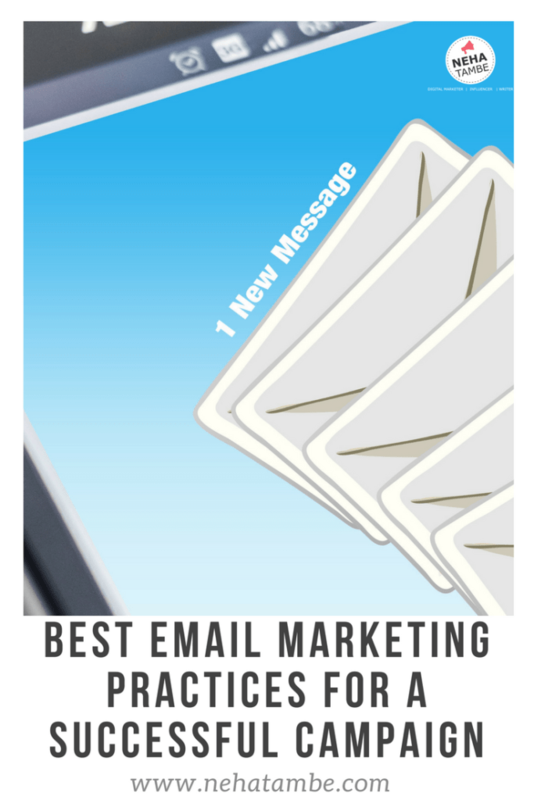 Thank you for this enriching post on email marketing! Wow! I got to learn so much today! There are so many way of doing it correctly and I thought just sending emails is enough! Thank you for this amazing post on email marketing! I’m looking out for good newsletter strategy for my blog. Thanks for sharing so valuable tips.